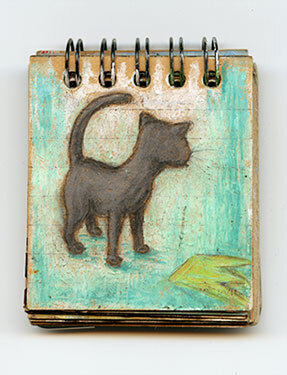 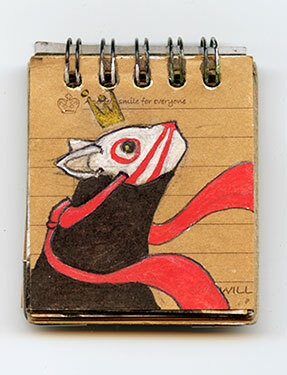 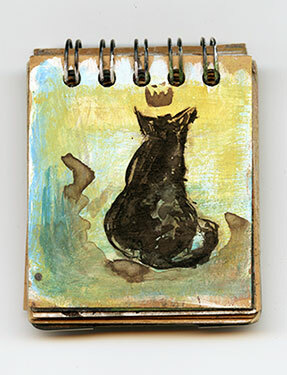 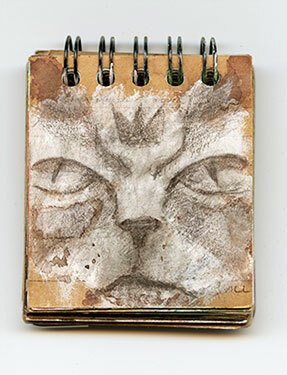 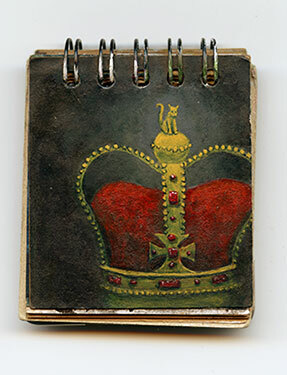 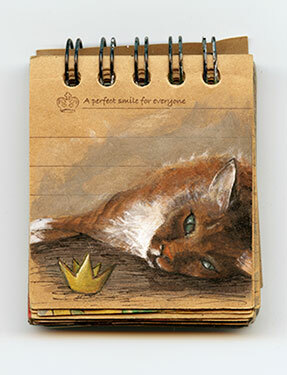 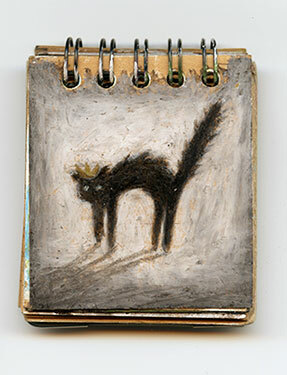 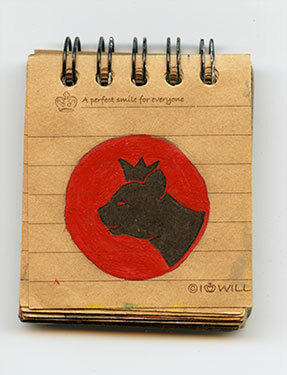 Personal project This is an small sketchbook (5,5 x 6 cm). 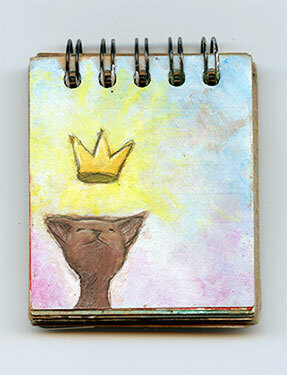 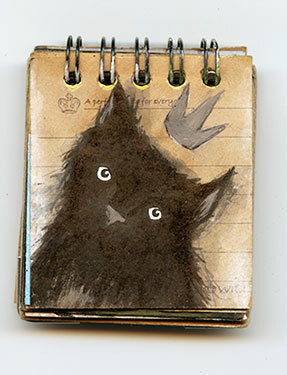 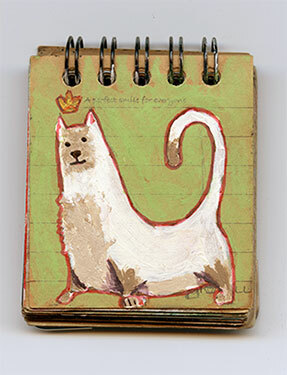 On the cover it has a cat saying ‘i am princess’. 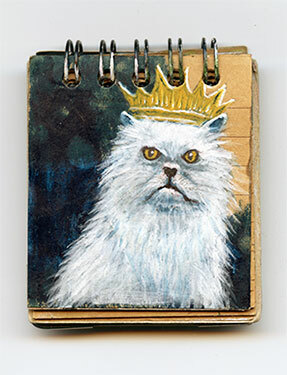 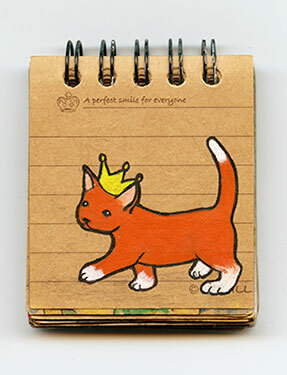 So we decided all the pictures should have a cat and a crown in it. 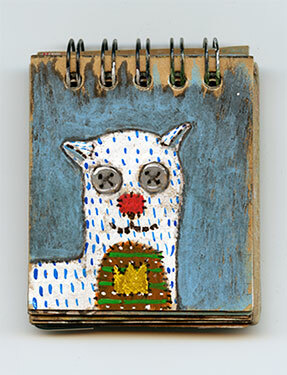 We both did one every now and then inbetween jobs.